View More In Memory - Page 2. 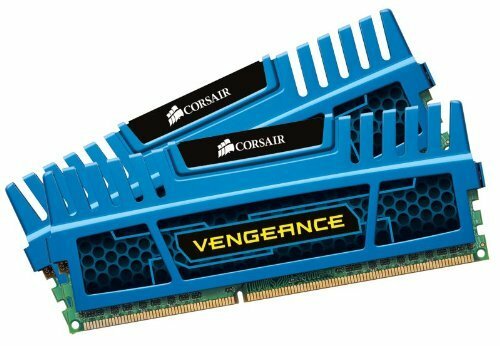 Corsair Vengeanceamp;reg; DDR3 memory modules are designed with overclockers in mind. Vengeance DIMMs are built using RAM specially selected for their high-performance potential. Aluminum heat spreaders help dissipate heat, and provide the aggressive look that you want in your gaming rig. As a bonus, the attractive low price of Vengeance memory will also leave lots of room in your system build budget.